This entry was posted on June 24, 2012 at 7:28 pm and is filed under storing antique and vintage linens. You can follow any responses to this entry through the RSS 2.0 feed. You can leave a response, or trackback from your own site. 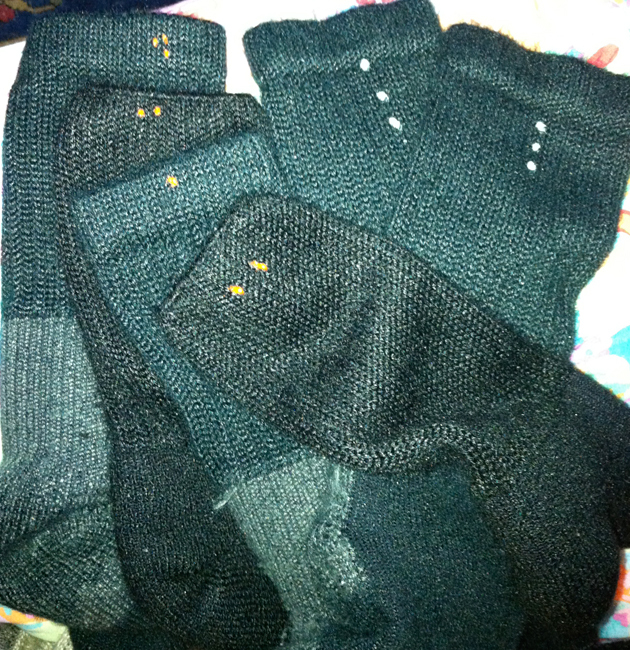 Those little thread dots are exactly what my grandmother did to indentify the socks of her 7 sons. Each was assigned a color or pattern so she could sort them on laundry day. Thank you. Just what I’ve been looking for. I’d tried coloured sewing thread, but that’s quite time consuming and fiddly for a bloke.